Lara Wilde is the independent Regional Innovation Coordinator for Ignite FNQ in a part-time capacity. Lara has successfully worked in local Government, project management, recruitment and retention, economic development and her own private businesses in remote, rural and regional parts of Australia. Throughout her career, Lara has honed her commercial project management skills in the areas of community resource projects, infrastructure and agriculture amongst others. Currently, Lara is the Regional Innovation Coordinator for Ignite FNQ fostering innovation the Far North Qld region and supporting stakeholders to develop innovative services and products and engage with markets such as Asia. Lara’s work with partners such as the FNQ Food Incubator has resulted in new opportunities and new strategies. Lara also owns Wilde Drive, a business focussing on providing support and advice for people to have safe, simple, stylish adventures on the road. Through Wilde Drive, Lara writes articles for a number of publications and speaks at a variety of events. Wilde Drive also has an online store Wilde Garage that provides performance parts and accessories for automotive enthusiasts. 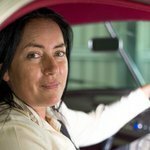 Lara works closely with automotive enthusiasts and innovators throughout Australia to commercialise new products for the industry and develop manufacturing and export options internationally.